As a beauty blogger, I may have failed in one huge aspect in my makeup regime: I seldom (meaning once or twice) to never use mascara. 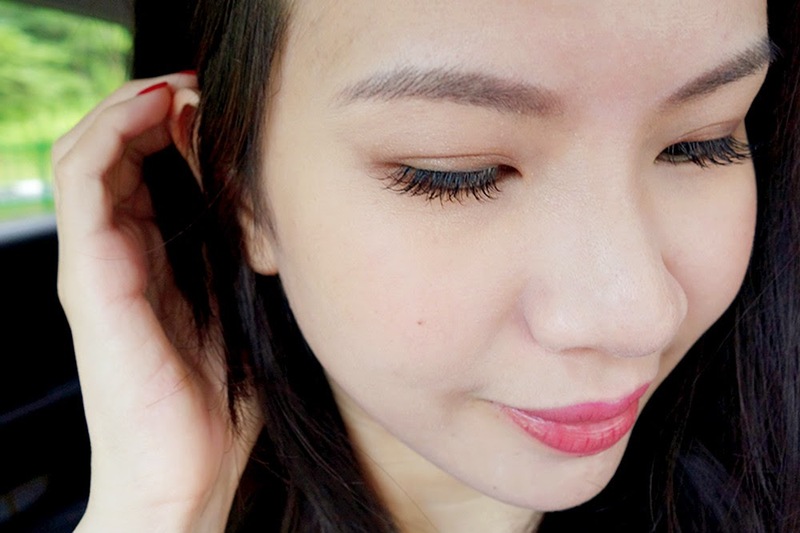 Ironically, I do own a few of them and even have Shu Uemura's ever popular eyelash curler.. but I just never ever make it a habit to curl my lashes nor to bother extending them. "Why? ", you may ask. It's simple. I have really short lashes which point downwards - they're not sparse actually... which should be a good thing but you can't see them anyway lol. I just lost the draw of the luck when it came to having eyelashes, in every way. Besides actually preventing dirt and what not from entering my eyes, my lashes have never helped in the beauty department. 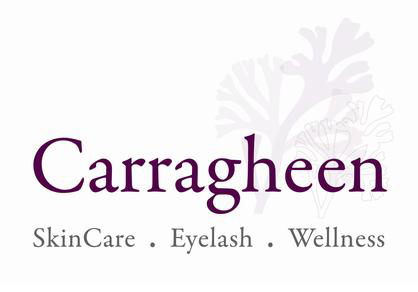 So, after a little bit of coaxing and thinking - I decided to take the leap and have beautiful lashes! 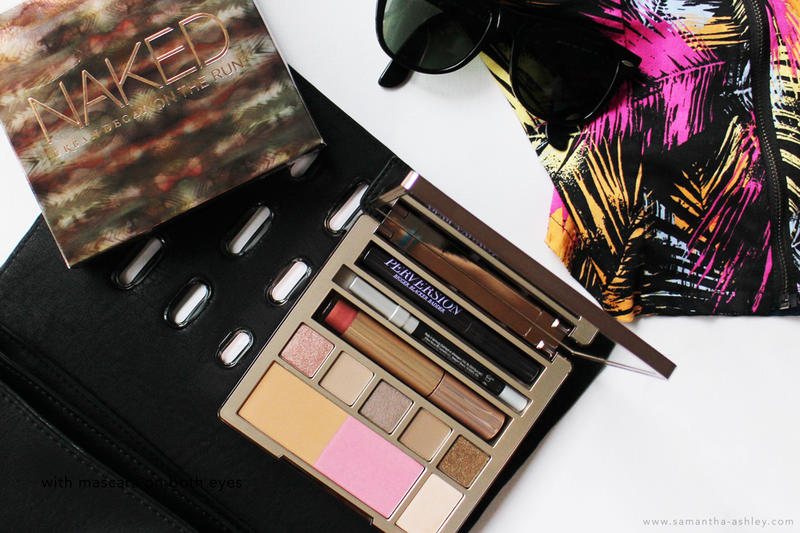 Sponsored Review: Urban Decay's NAKED On The Run! Christmas is coming up soon, so you know what that means right? 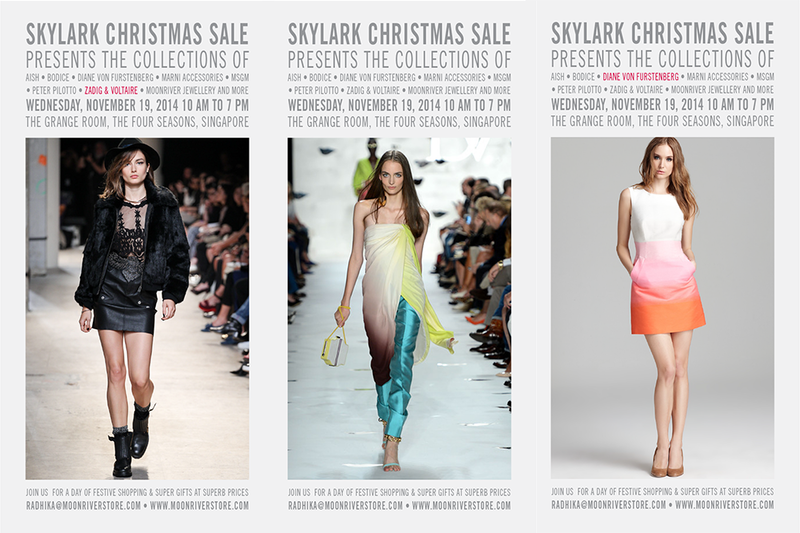 TONS of amazing holiday palettes being released, with a plethora of colors, designs, uses, what have you. And while some of us fall into temptation because of the bright colors and pretty packaging, we sometimes end up not using the palette after the festive season because we realize they're just not that applicable for everyday use anymore... THANK GOODNESS then that Urban Decay created a LIMITED EDITION All-In-One Palette that doesn't only look sleek and gorgeous, but is also versatile enough to be used.... when? Yes. ON THE RUN! 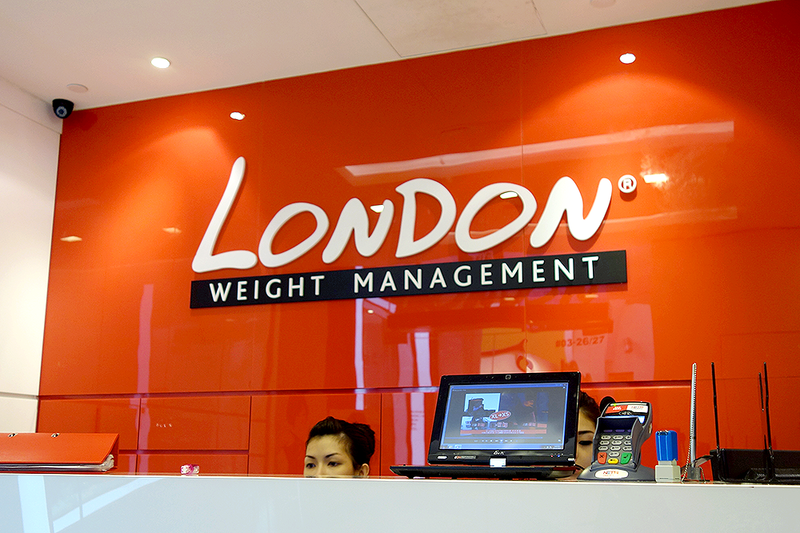 On top of that, London Weight Management has been around for awhile and trusted by so many Singaporeans, I really couldn't resist making my way down. If you haven't already read, here's part one of my process, where I talk more about the location, services, etc. 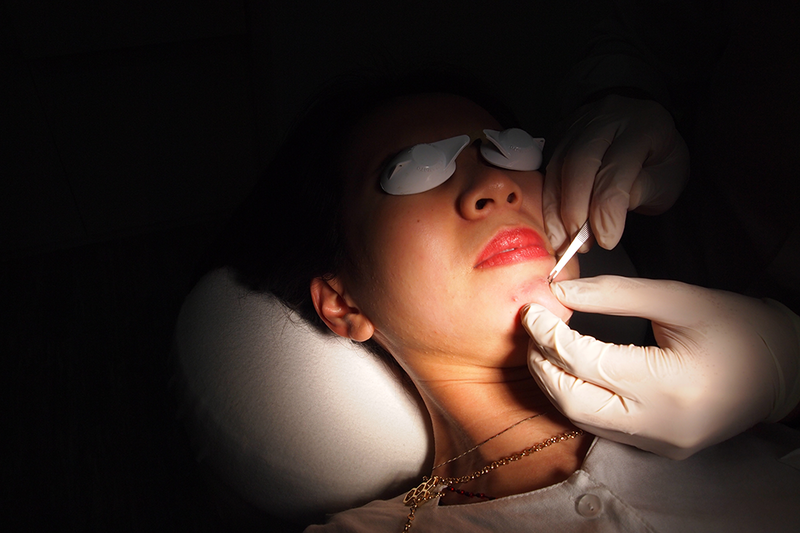 I also include the eyebrow laser removal process inside, so those of you who've got current ones done and would like to remove/correct them can refer to it. Anyhow, more than a week has passed since then, my eyebrow embroidery has been done, touched up, and healed; So here you go, I'm all ready for my post! Shopping online isn't anything new anymore. In the digital era, it's all about door to door delivery at a click of a mouse, and ensuring that everything comes ASAP. And speaking as someone who doesn't fancy shopping in town sometimes (URGH! 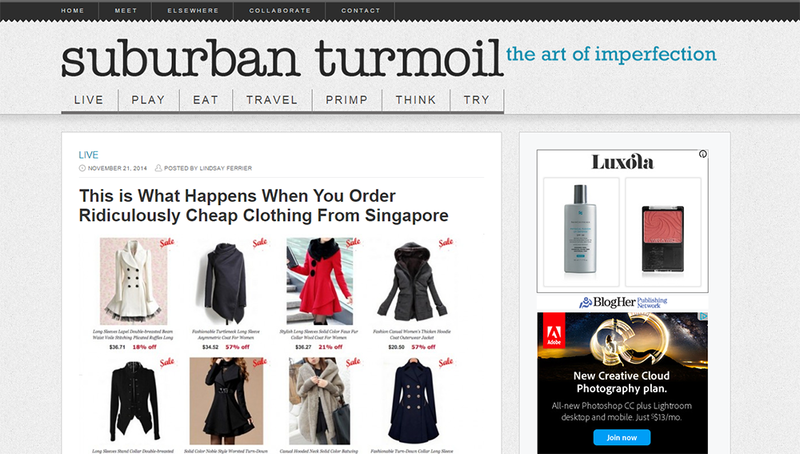 CROOOOWDDDSSS), the online shopping malls just gleam in comparison. However, we've all heard horror stories haven't we? Of people who either never get their products, got fake products versus those they were promised, or even those who received BOXES, yes boxes, of the product they ordered but only to find it empty inside. Recently, this very witty mother (blog as shown above) who shopped online from Singapore just got the nightmare of her life when she opened her boxes.. and aren't all of us frightened to death of being in that exact same situation!? Well, perhaps you no longer need to worry, and we are here today to show you why. 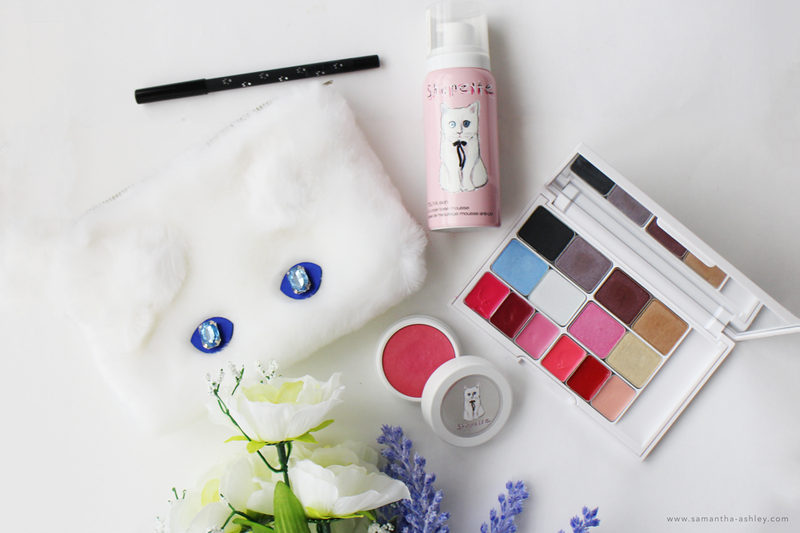 Sponsored Review: Shupette collection for Christmas Looks! Christmas is right around the corner and that calls for the constant hair-pulling instances where we just can’t think of the perfect gift for our closet gal pals. We were introduced to Shupette (Shu Uemura’s Holiday Collection) a month and a half ago and after testing it out for quite awhile now, this ladies, is one palette to put on your shopping list. Advertorial: Get Beautiful With SANA! Recently, we were sent some really gorgeous SANA products from two different lines and were nothing but excited to try it out! 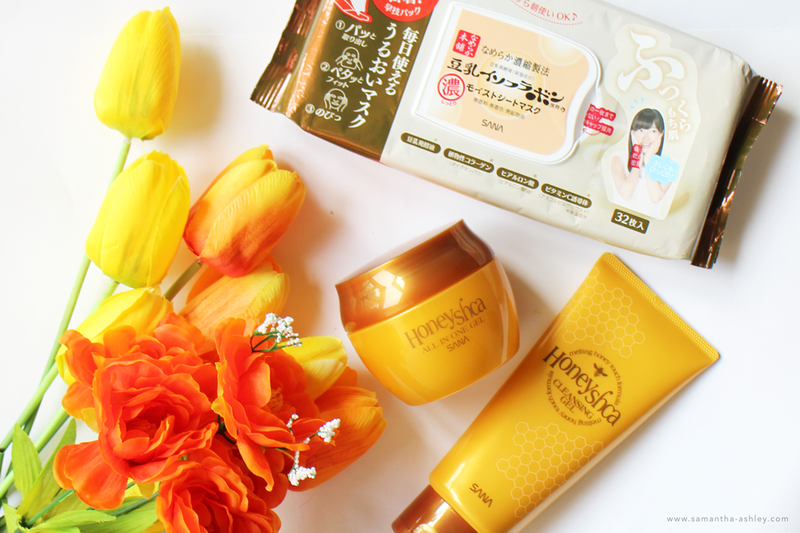 As you can see above, One set is from the Honeyshca line and the other is from Nameraka Honpo! The best thing is, that do they not only look really pretty (we all know how important packaging is ;) am I right? ), but they're also really easy to use and love! Want to know more? Read below! When it comes to BB Creams, I tend to be a little selective. 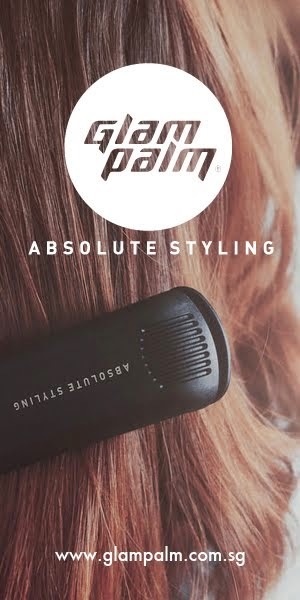 I've been there done that with so many different brands (I've been testing them out since 2008), that I can't help but roll my eyes when someone tells me they've made something new or theirs is a definite cult favorite - because if you realize, they all say that. 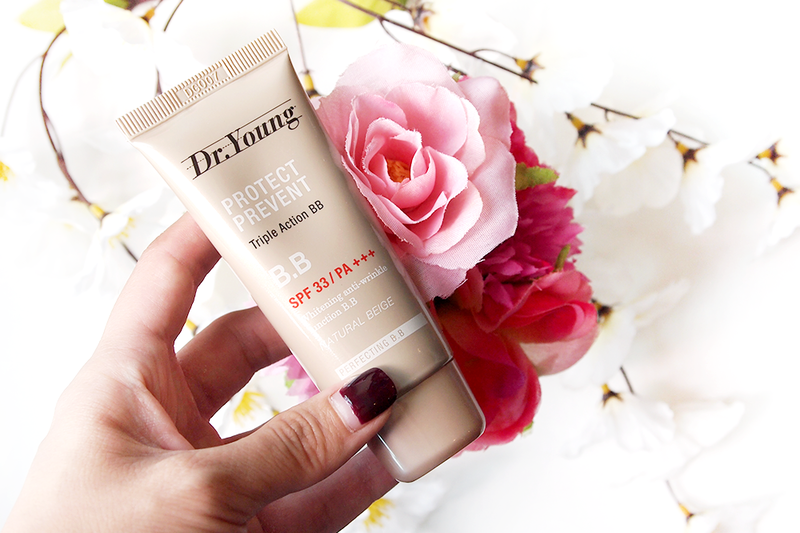 So when I got Dr. Young's Triple Action BB Cream, I was already a little skeptical. I tend to have high expectations when it comes to BB Creams. I seldom like them or show favor to any, so I was pretty interested in putting this to the test. What do I think? Well, read ahead and find out. BB Creams, otherwise known as Blemish Balm Creams, aren't new in the market - they started off as a sensation from Korea and then slowly spread to the rest of the world. Though it originally started off as something to soothe, protect and calm the skin from facial procedures, it proceeded to become one of the world's best-selling cosmetic. 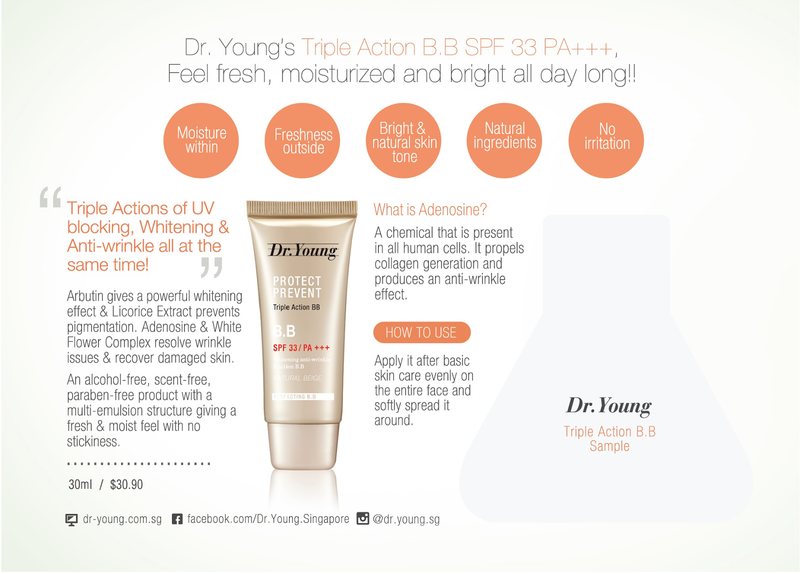 Dr Young's BB Creams are formulated in a joint effort between Korea's first founder of the BB Cream (WOW!) and Dr. Young's very own founder, Miss Krystine Chae. 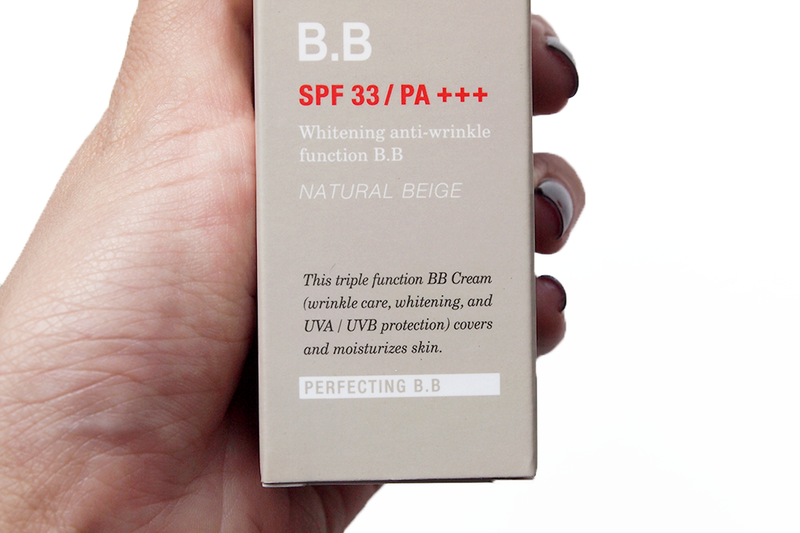 And this particular Triple Action BB SPF 33 PA+++ is one of the best sellers, due to its natural beige color which resembles most Asian skin tones as well as its whitening, anti-wrinkle and UV Block functions. The ingredients such as Arbutin give a powerful whitening effect, Licorice Extracts prevents pigmentation, while Adenosine and White Flower Complex resolve wrinkle issues and recover damaged skin. Soybean Ferment Extract is a natural moistening substance, and Portucula Oleracea Extract and Centella Asiatica Extract sooth irritated skin! 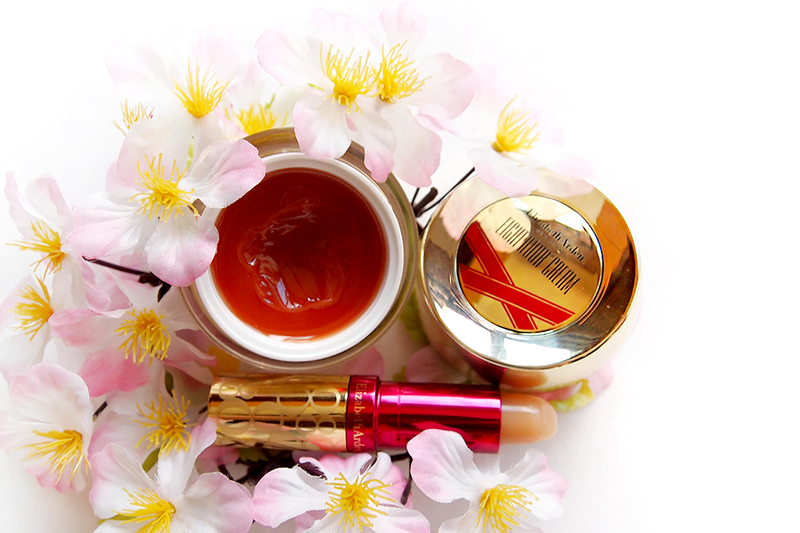 In addition, it is alcohol-free, scent-free and Paraben-free! 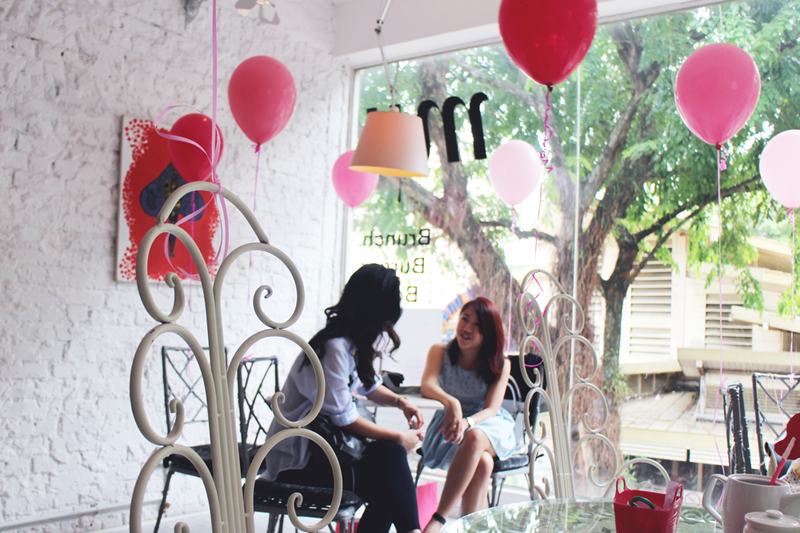 Instead, it has a multi-emulsion structure to allow for a fresh and moist feel with no stickiness at all. 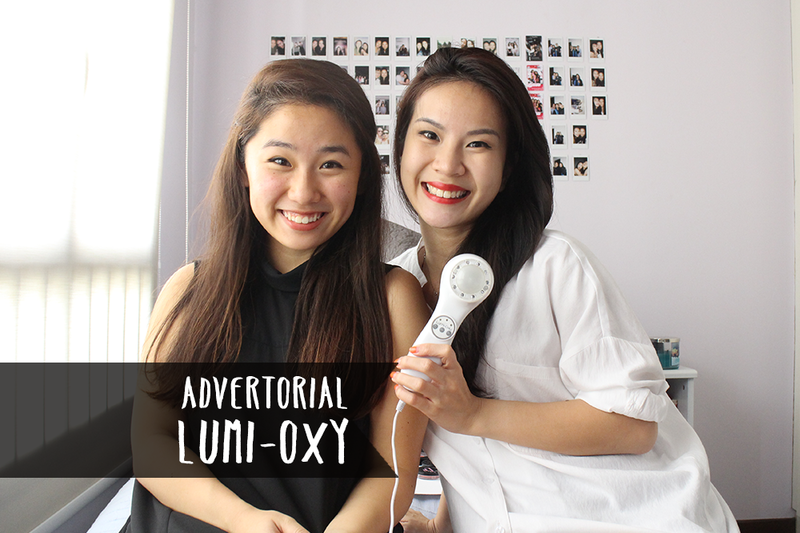 The best part is that it does not oxidize nor turn greyish even after hours upon application! 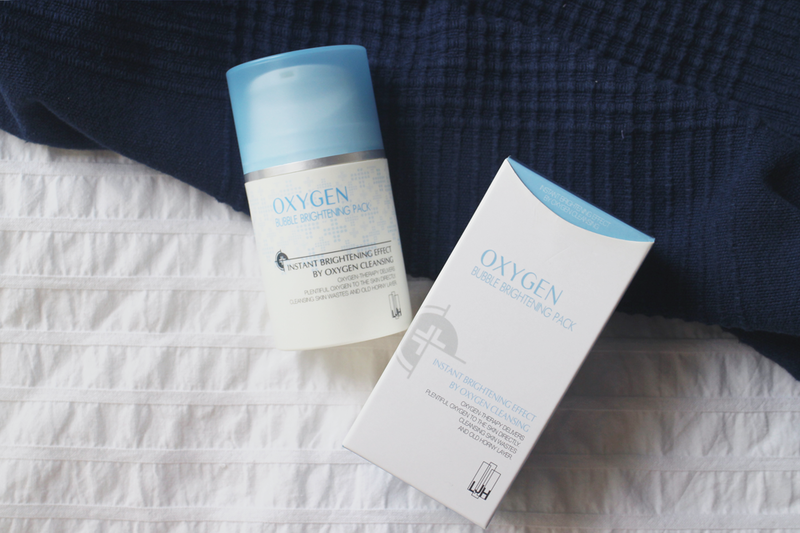 We all don't have the time (nor the money) to indulge in oxygen therapy facials on a regular basis like Madonna does, but we can, however, look to products in the market that have similar ingredients to help achieve a somewhat more affordable alternative to achieve radiant and healthy looking skin. The lovely peeps as HKCplaza, mailed this out to us awhile back and I've honestly not tried any product in the market like this one. So it's only right that I share this amazing find with you babes. Ash and I have recently been plagued with a serious bout of pimples :(.. This is largely due to us being extremely busy with work! Not many of you are aware, but I work 2 jobs outside blogging and it seeps a lot of my energy away and gives me A LOT OF STRESS! I'm back today to talk about a killer line of products for anti-aging. As most of you know... I am... *whispers* 25... which means it's really about time to start using products which prevent aging! Of course, you should actually start your prevention regime at about 18 by using sunblock, etc – but you can always wait off on anti-aging skincare till you’re in your early twenties! 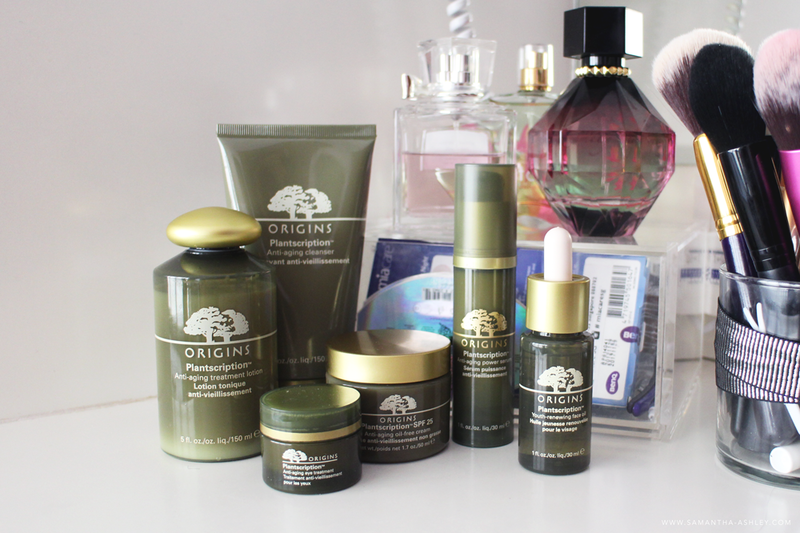 I've been looking for a line to support my skin - and it was just at this time that I was introduced to Origins’ Plantscription™ range which is suitable for those with combination to normal skin! Within this range, there is an Anti-aging cleanser, Anti-aging treatment lotion, Youth-renewing face oil, Anti-aging Power Serum, Anti-aging oil-free cream and Anti-aging eye treatment. any die hard Pulp Fiction fans here? I, personally, have never watched it (*gasp* I know, I know)... but I do know that this cult favorite has indeed garnered a huge following... and apparently one very large supporter is none other than Urban Decay! That's got to be a huge wow right there. I shall dream of the day Urban Decay makes a palette about me... lol! 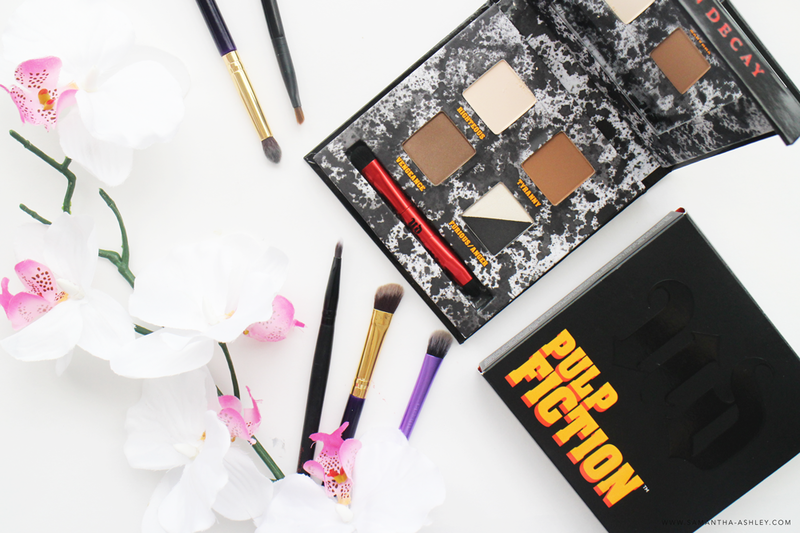 Okay jokes aside, this palette was created to commemorate the TWENTIETH anniversary of the film their way - which naturally involves creating a very cool and extremely badass eye palette, inspired by the equally renegade Mrs. Mia Wallace. 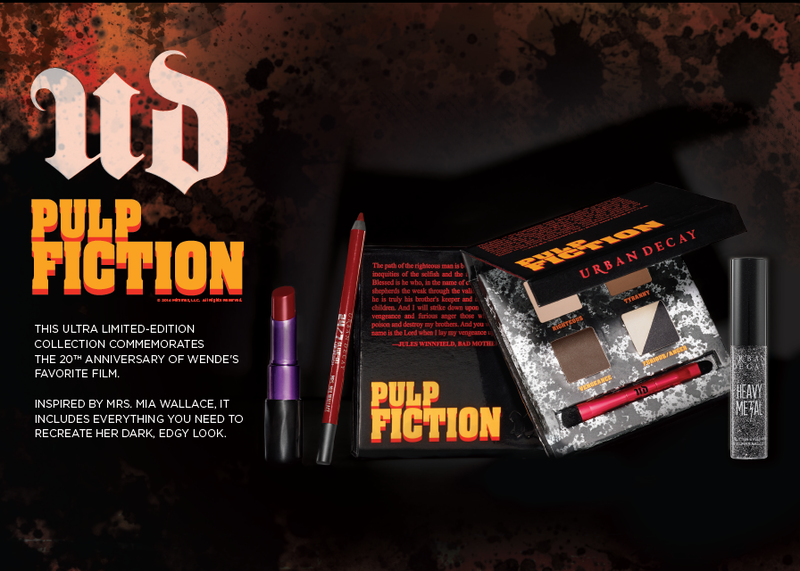 Since she looked so amazing in the film, Urban Decay decided to key off her iconic look. Above, you'll see everything you need from them to recreate her sassy style. And whilst lipstick is important (a huge lipstick lover here! ), let's not forget that our eyes are the window to the soul. Hence, I'll be introducing the palette here today and you can read on to see the look I created! I've somewhat recovered from a facial allergy... in both senses.. meaning that it was on my face, and I got this allergy from a facial. Please do not ask me the location of this facial place, because I do not believe it was the place itself. I'm not defending it, but I know of others who do the same treatment as I do over there and nothing happens to them.. so it's just my very sensitive skin. If you, like me, have sensitive skin - perhaps due to too many procedures done before (I somewhat regret the lasers I did when I was 20, sigh) or too many products used, or very simply due to genetics - then you know that even the slightest trigger could set everything off horribly. Well, I suffered enough and was traumatized enough from it to emerge with a few tips and tricks on conquering those blasted face allergies. True enough, what doesn't kill you makes you stronger! Hence, here are some suggestions you yourself can try out, should anything *touch wood* ever happen to you too! I'm sure many of you have heard great things about Bio-Essence before; some of my family members live by its Miracle Bio-Water and love it for its soothing, hydrating and toning qualities! But today, I'll be talking about 2 other 'Miracles' too, so do read more below to find out why I like them so much! 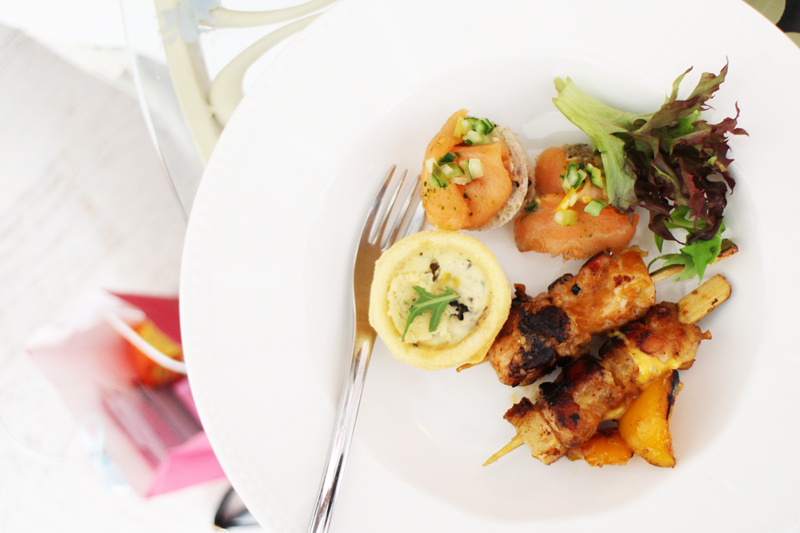 I'm well aware that I've been away from our blog for a little while, but I am slowly but surely getting back on the blogging wagon with more posts! I've learnt that one should always have a balance between work and play and I'm thankful to have been surrounded by a caring best friend / blog partner all this while :) Thank you Sam!! I've discovered new beauty favourites through birthday presents and recommendations - I personally love reading favourite posts / videos, they're just bite size reviews on products that I have to try next - and yes... I'm rather gullible which is bad for my wallet. 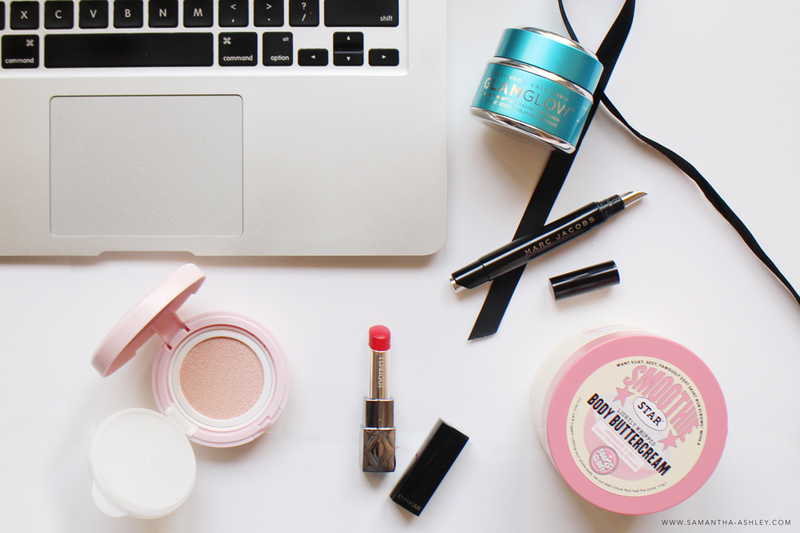 So this month... so that brings me about to my top 5 products that I've been liking for the month of September! It’s finally time for…. 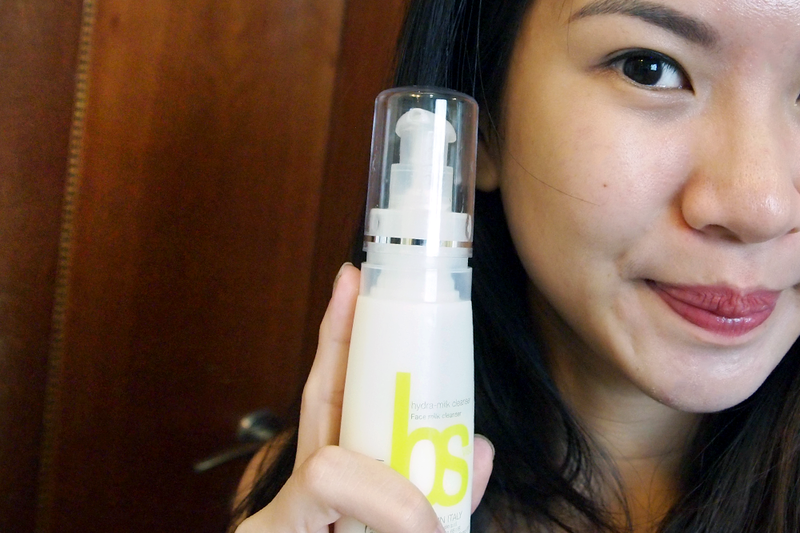 *drum roll* my bSoul Skincare Review! :) I’ve been using the range of products for way over 28 days now.. probably going into my 3rd month or so.. and the reason why I haven’t updated on the 28th day, or 1 month mark, is because my skin kept fluctuating and I was waiting for it to normalize and calm down before writing this. Just so you know – I’m not writing this now so I can say good things and what not. I’m writing this now because I want you guys to know that the skin normalizing process DOES take awhile. It doesn’t always go exactly as planned and though skin takes about 28 days to show results, those results may not always be the FULL results because the products may not have been given sufficient time to show their effects. So here I am now, at 3 months, ready to give you my full and honest review of everything. Before I start jumping in with my opinions, here is a little insight into what bSoul is about! bSoul believes in Skin Physiological Normalization, which invests in the body’s natural restoration and normalization process of renewing cells every 28 days. However, for this to happen, skin has to be in good condition, otherwise it will not be able to retain water and nutrients that products provide for it to improve. It is also important to note that not ALL products out there (ESPECIALLY the expensive ones) are good for our skin. Some contain horrible substances which could actually hurt us in the long run. Also, if you're vegan or a big supporter of animal rights/no-animal-tested-products, then this would be great for you because their products carry the ICEA (Environmental and Ethical Certification Institute) certified logo which indicates that they use only safe and natural ingredients that do not cause harm to the environment, humans, or animals. P/S: Above is me without makeup. I know some people will always wonder haha, but yes, there you have it! ;) It's great to use products which eventually make you feel you can just walk out without any makeup on! We were given the bSoul Hydra-Normalization kit (worth SGD $434) which promises to normalize the skin before it is ready to face any specific action, say whitening/anti-aging,etc. Within this kit, there are a total of four products. * I will be providing their individual costs as well, so you can see how much it would require should you need a top up of any item. I do not suggest you buy any just ONE of the products as you really do need the whole range to see the real results. 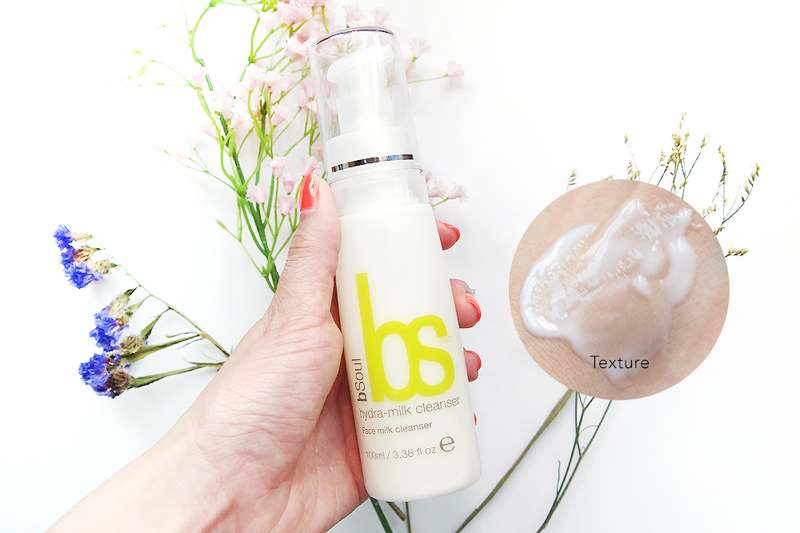 This milk cleanser can be used as both a makeup remover and normal cleanser. 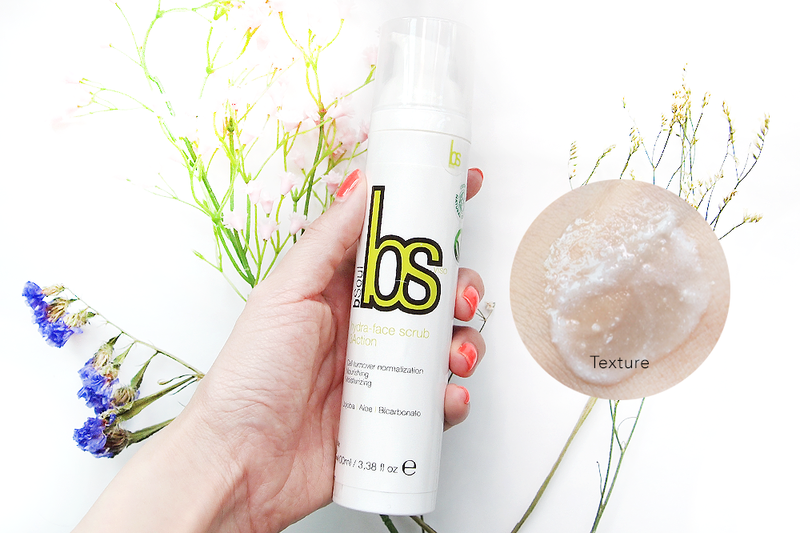 Should you wear any makeup, simply double cleanse with this cleanser. 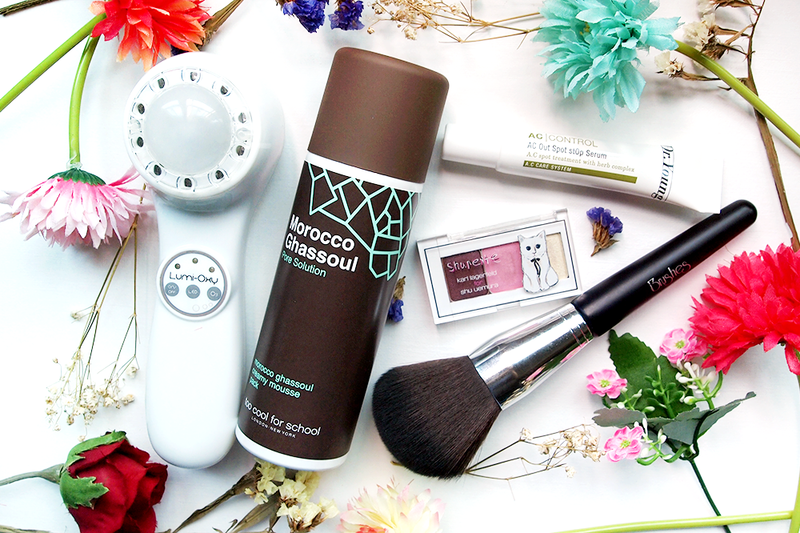 2 pumps to remove makeup, and 2 pumps to cleanse your face again. 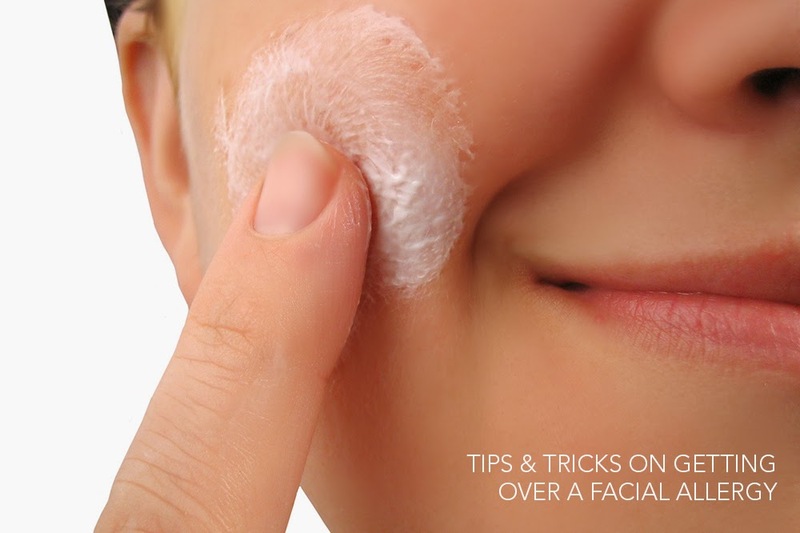 If you have stubborn eye makeup, then just pump this into a cotton pad to help ease the removal. I use this everyday, and I really like how my skin feels moisturized and happy after. There is no dryness, tightness, or discomfort. Makeup-removal wise, I only suggest it if you wear light makeup like just loose powder and some eye makeup. If you wear heavier makeup such as liquid foundation, I think it feels better to know you're using a more "makeup focused" cleanser to remove it (eg. 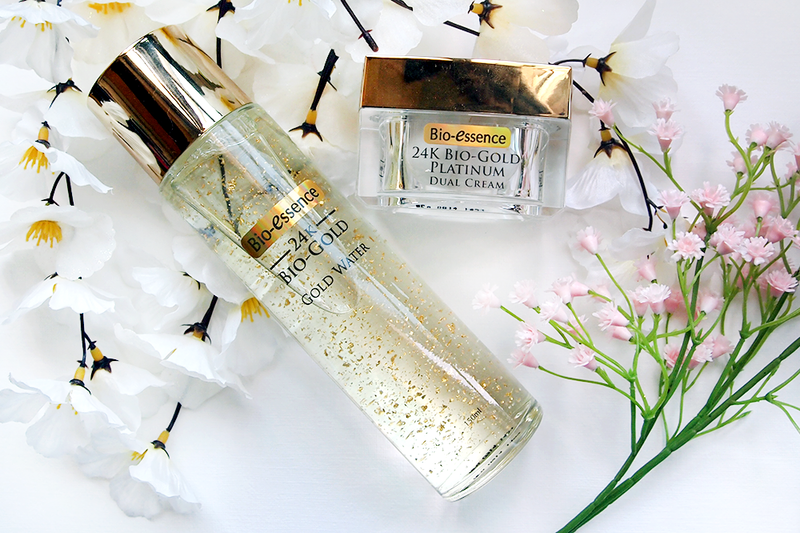 Bioderma).. otherwise you might breakout a little from improper removal of makeup.. But that may be just me. This scrub is supremely gentle and great for sensitive skin! You just need to use this once every 3-4 days and you are set. It nourishes your complexion through removal of dead skin and preps it for following products. I love this scrub, and not because it is so expensive (still a little taken aback by that) but, because it is truly so non-abrasive on my skin! 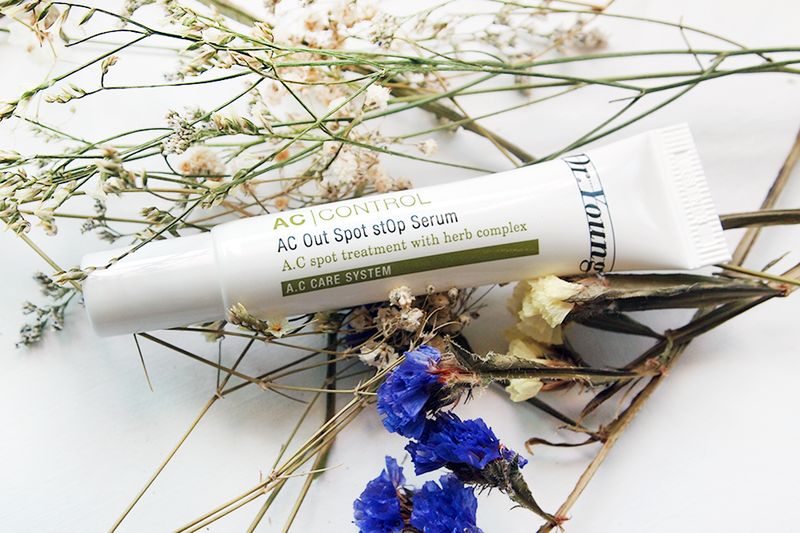 I use it as instructed, and I find my acne scars really lightening quickly whenever I use this! My pore size hasn't changed much, but my face does feel smoother. Also, my scars are lightened each time I use this. By about 10%? Really effective! 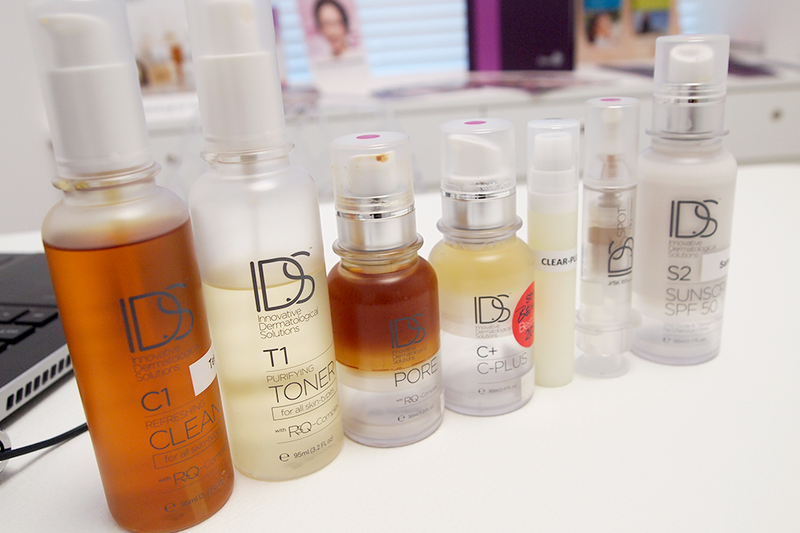 As you may have noticed, there is no toner involved – only a serum. This serum is my FAVORITE. 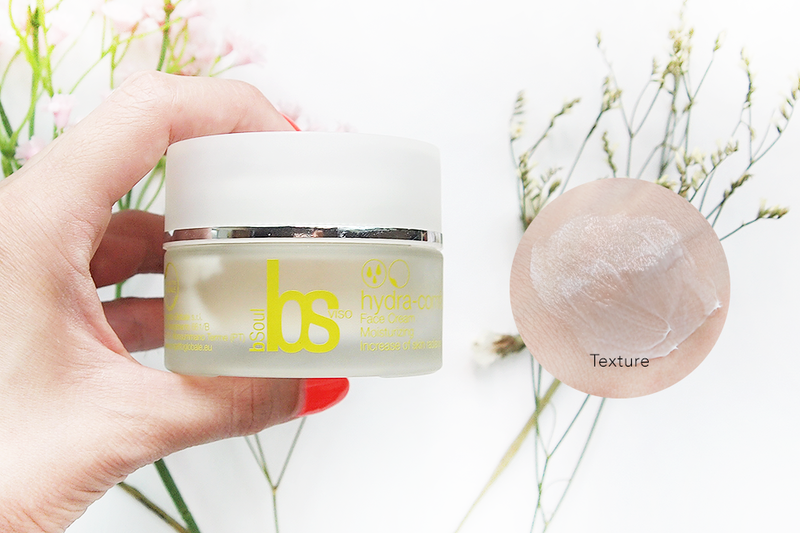 When they say it boosts sensitive skin’s defence, they mean it! 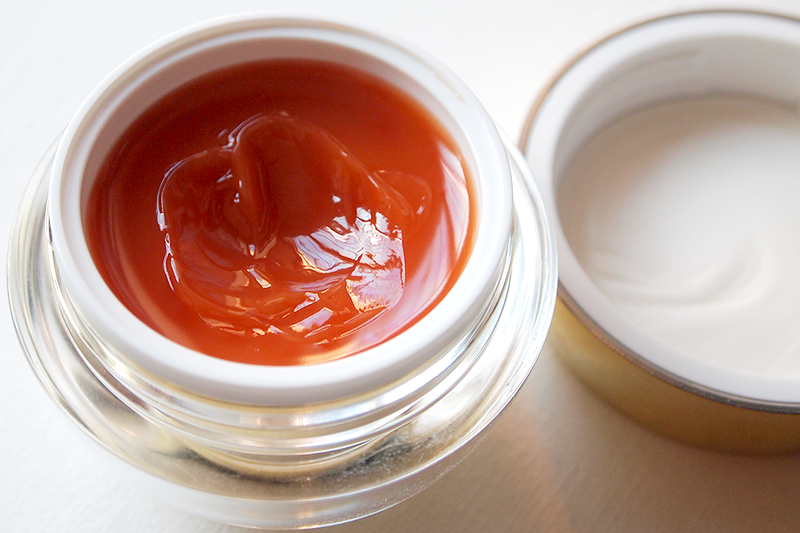 It reduces all redness, scarring, and makes your face feel supple and protected. You can use this everyday. This absorbs extremely easily into the skin, and doesn't feel oily at all. When I use it on a popped pimple, or whatever that's newly raised on red, the horrible redness is gone by 50% halfway through the day (if I applied the serum in the morning), and sometimes 100% by the next day when I apply this at night too. So give it about 24 hours to fully work its magic! Love this! Especially when I have itchy hands and jusssssst have to pop a pimple! Hehe. This is their moisturizer which can be used as a PIMPLE CREAM as well! How crazy is that!? Some moisturizers I know are even THE CAUSES of pimples, but not this. Sinks into the skin easily, and dries to a semi-matte finish. Can be heavy if you're out and about rather than in an air-conditioned environment, so that's when you have to remember that less is more. I liked this a lot and it really did work to bring down some pimples! Not all, but definitely some over the course of a few days. It especially helped when I had an allergy to anything, because it was so comforting to apply and felt so soft against my skin - almost a little little bit mousse like. Kind of dislike the tub packaging because I'm quite OCD about dirt and germs.. Also it's a bit heavy to bring out on a holiday for example.. But I'm just nit-picking here. Here is a before and after of me from my first week of using this to now. Can you see the difference? 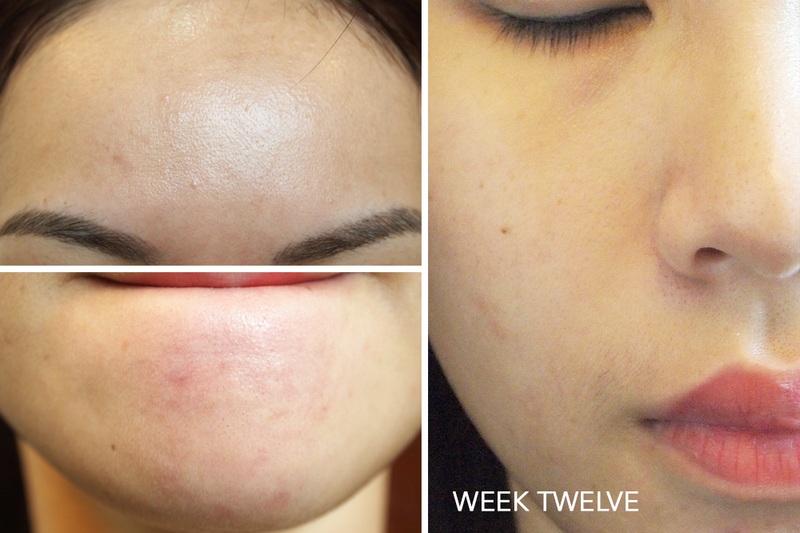 My skin is brighter, smoother, and just all round “happier”! 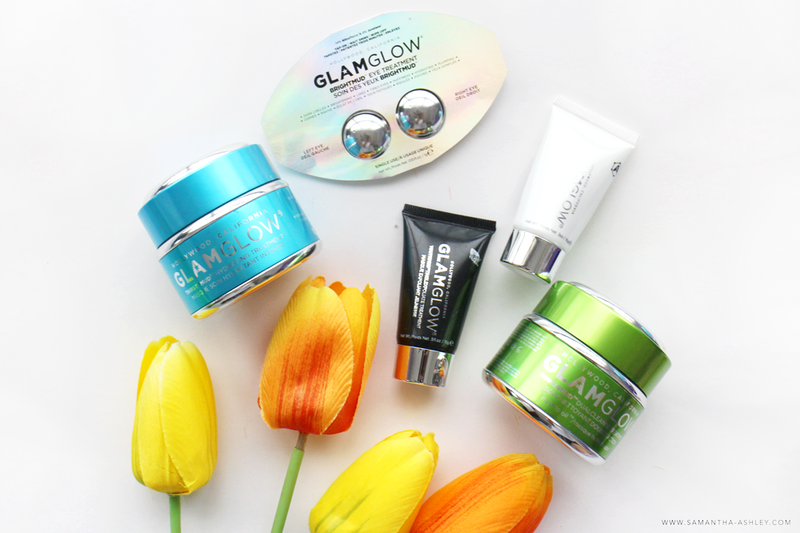 There is that healthy glow that all of us seem to look for too right!? Indeed, the end result is pretty awesome, but I feel that all of you need a heads up on the process. I’m not going to cover this up, because I feel it’s a vital point and you do need to be prepared for what’s in store. I know I’m making this sound horrible, but it’s also not as well, so you can relax haha. Now, it’s easy to look at Before and After photos to just want to BUY the product immediately. What I hate is when people lack to tell you what happens in between, so I’ll try to be as thorough as I can without being too long-winded. DO NOT expect instant results. Do not expect to wake up one week later and realize your skin is gorgeous and made of beauty. DO NOT. These unrealistic expectations are what will make you stop wanting to use this range halfway, and that’s just going to be a pity because you won’t get to enjoy the range of benefits they have to offer. It took about 3 months in total to finally stabilize. In between, my skin would fluctuate throughout.. Some days it would be crazy oily, and other days perfectly fine. It was so frustrating because I never knew when my skin was "finally normalized". The only heads up I kind of got was that my pre-menses period complexion was quick getting way better than before! 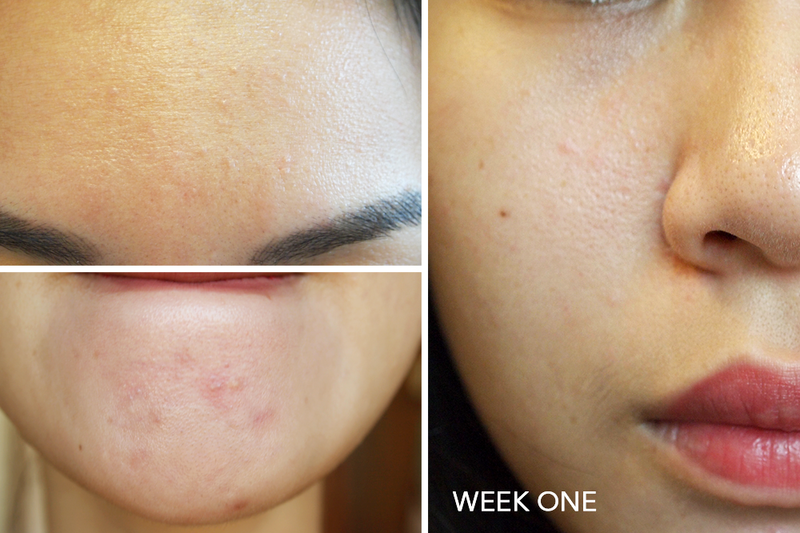 My breakouts would lessen dramatically and I would only get a few blemishes here and there. 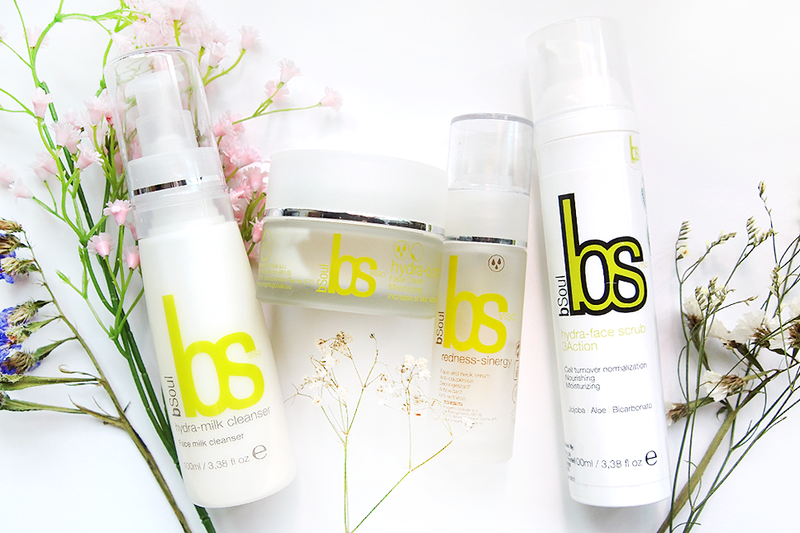 If you are someone who is patient enough, and knows that what is good for her skin outweighs any quick and fast result (due to products with high chemical contents), then bSoul is the line for you. If you ask me though, I honestly could really feel my skin normalizing out - going from super dry to oily to slowly just being normal.. and it was an interesting process in all. You just have to give it faith and time. Not many people have this, I understand, but it's all about long term gain versus short term gain. As a Beauty Blogger, it is my job to constantly change and try out different skin care.. it is an occupational hazard. And whilst I do really like bSoul, I did get frustrated now and then when I had to try out something once from another brand and I would break out straight after.. and when I got back entirely on bSoul everything would be alright again. If you aren't itchy handed or in my position, and you like the idea of loyalty to one skincare that does work, then stick to this! I bet you won't regret it. Even my facial lady said my skin was suppler and softer during that period of time! :) I am now using Sulhwasoo for a review, and will change again in due time should any sponsor require another review, but in my heart I will still feel that bSoul was one of the gentlest and better products I've had the honor to use. If you'd like to try out this range for yourself, here is a discount code! :) Simply quote "BSSamAsh10%" to get 10% off the Hydra-Normalization Kit. 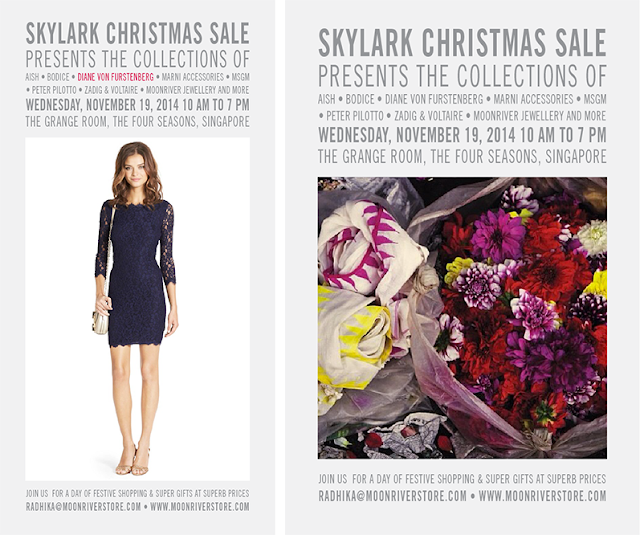 This promo ends on 31st of September, which means you have a week to go try out these beauties! It's been absolutely AGES since we do a last event coverage, if you'd like to see more of that you can always head to our instagram but this event was something really dear to us and it certainly deserved a post of its own! 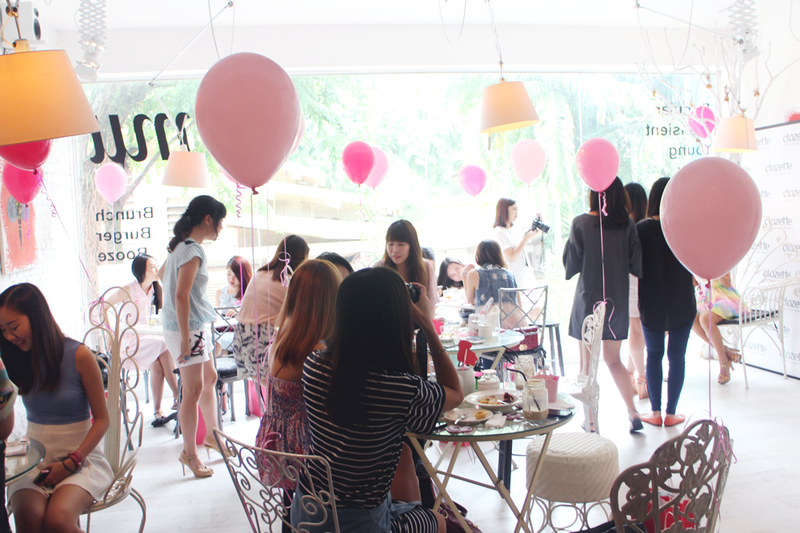 We were invited to a Alice in wonderland themed party at the Mu Parlour at Holland Village to spend some quality time with the Clozette family. 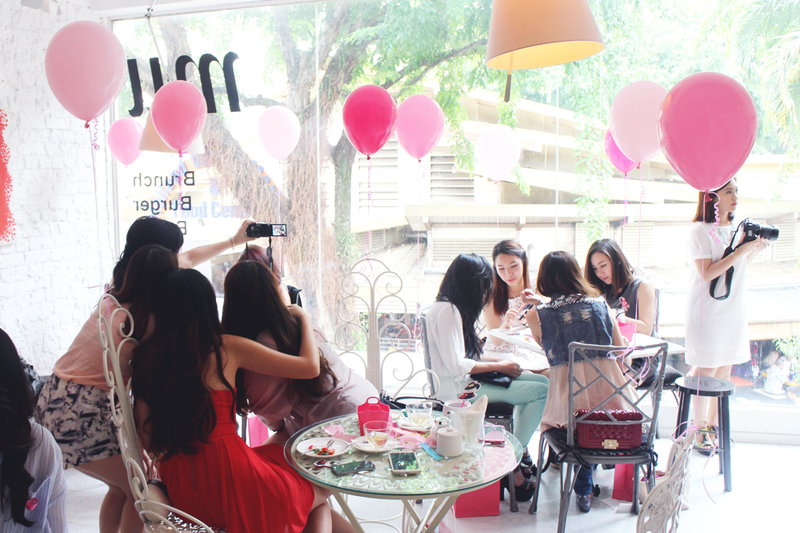 We've been a Clozette Ambassador since early this year and it's been nothing but amazing to be part of such a cheerful and close knit family where you get to see all your friends at the Clozette get-togethers. The Mu Parlour is a nice quiet spot to have all day breakfasts, with a side of truffle fries up for grabs on the menu too! It's also famous for their no.11 burger and although we didn't order that, they put out a lovely assortment of finger food for us to enjoy whilst catching up with the clozette family! What happens when you put a group full of girls together in a room with similar interest? We bond over all things beauty, fashion and even coming to realise that some of us (mostly me) could do with a little more colour in our wardrobe thanks to the pastel dress code! Familiar faces? 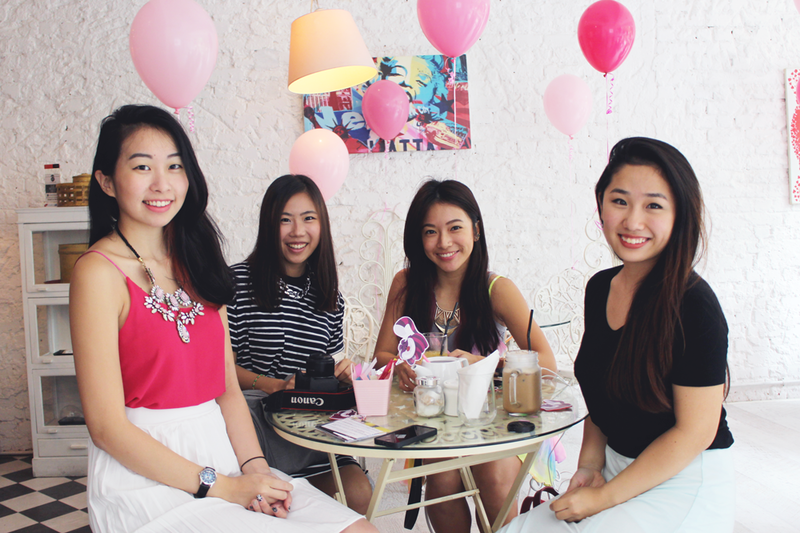 here's some of the gorgeous babes we met from the VT community! It was so good to finally see them again after so long! 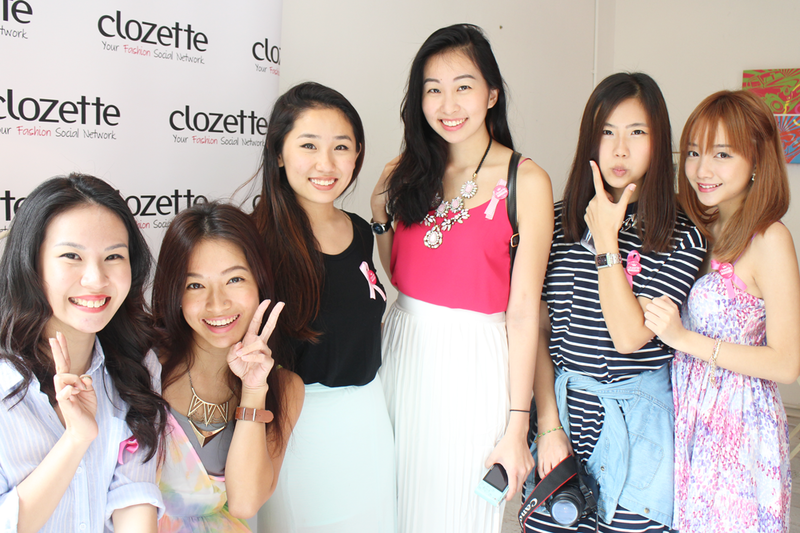 Like our Clozette pins and DIY breast cancer awareness ribbons? Keep your eyes on Clozette page in October to find out more. 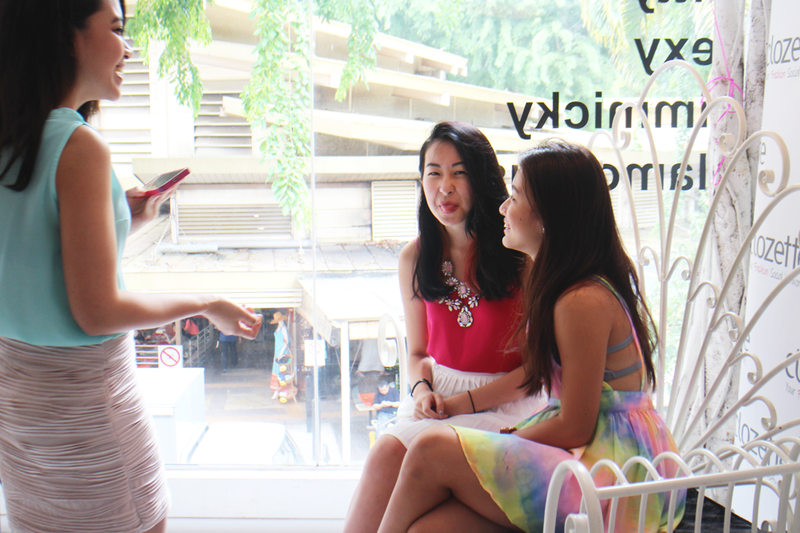 We also filmed a short session for something special that Clozette is putting together of all the Clozette Ambassadors and here is Christy and Wenhui doing their thang. Feel the love between these two? 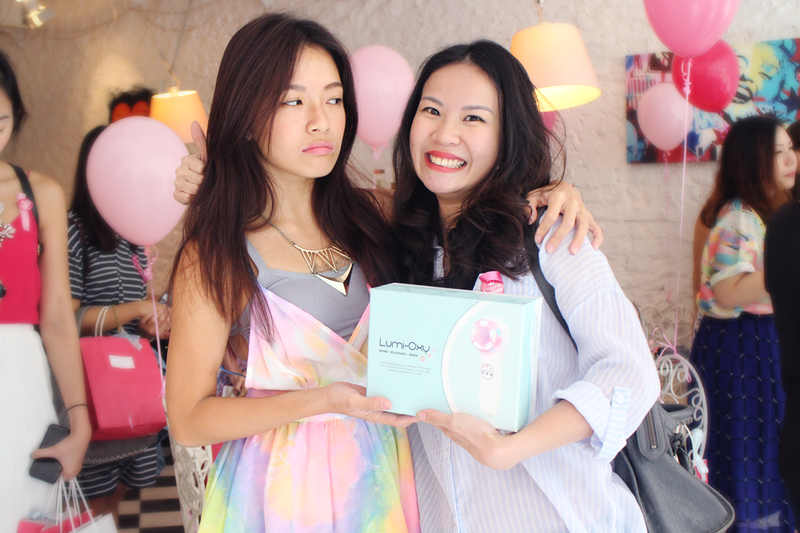 I know I do... Sam Won the lucky draw and got the Lumi-oxy LED light skin therapy device! Thank you Clozette ♥P.S: Little insight to this photo, Sam & Wenhui were chanting their numbers and it just so happened that Sam's number was called! Hence the happy faces in the photograph. 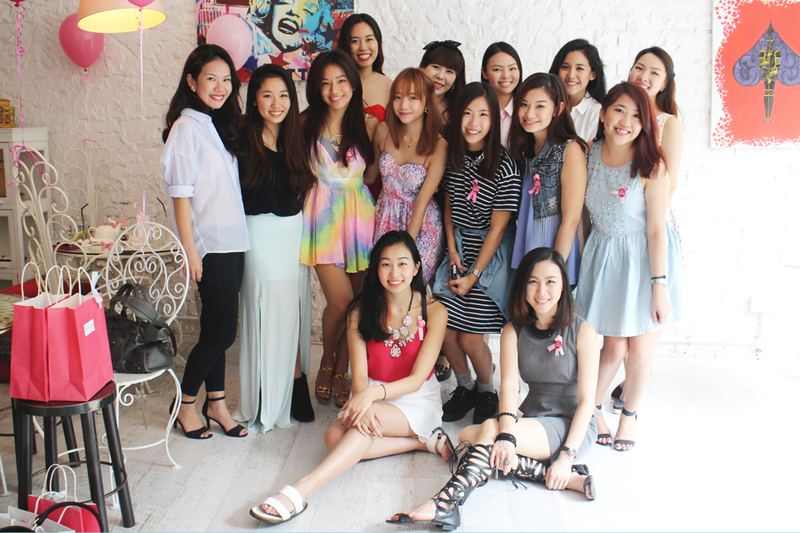 From left to right: Sam, Myself, Wenhui, Jody, Shufeng, Cheryl, Celine Roxanne, Vinna, Kathleen, June and EnnaFront: (sporting matching leg poses I might add) Chrsity & Fenny Unfortunately not everyone could make it to the event but here are some of the Clozette Ambassadors! Of course, there's no way we could forget the handwork that goes into the team that built the lovely community, the Clozette team! 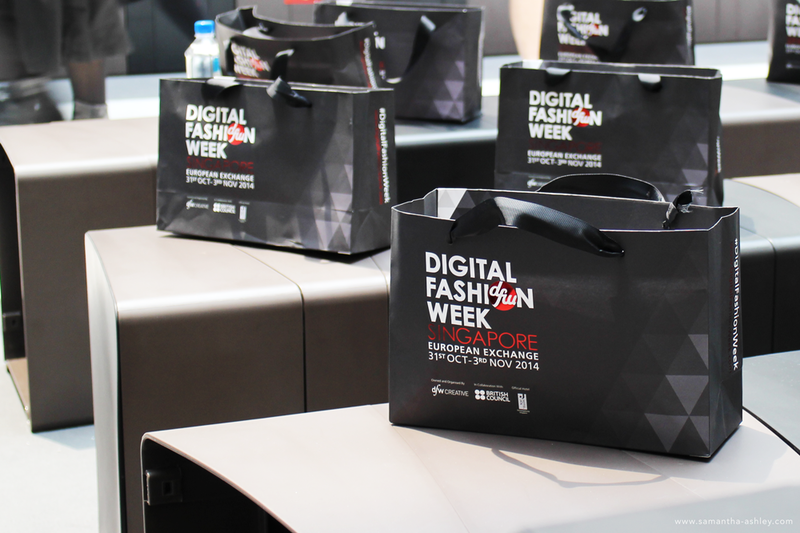 Thank you Clozette for putting together such sweet and thoughtful goodie bag for us to take home and also having such amazing lucky draw prizes for us to take home! We both look forward to another Clozette get together with these lovely people and if you haven't already done so, be sure to check us out on Clozette right here!